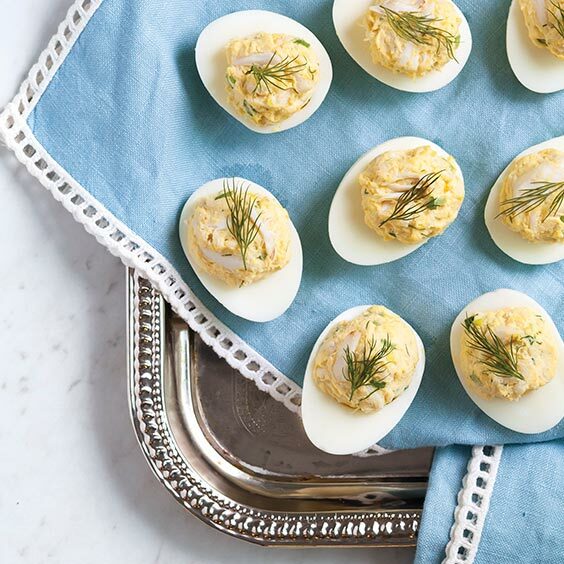 Deviled eggs are an easy and delicious option for those who love to entertain. They’re a crowd-pleasing party snack, and it’s relatively easy to make them look nice, which is a win in our book. These deviled eggs are as tasty as they are pretty, but just as important, they’ve got some surprising health benefits. Packed with 13 essential nutrients, vitamins, and high-quality protein, eggs are naturally nutritious. 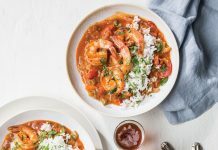 We’ve kept the rest of the recipe light by replacing mayonnaise with Greek yogurt and adding Louisiana crabmeat, which is naturally nutrient-rich and low-calorie. 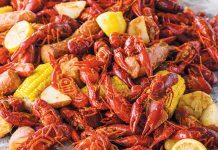 Serve this Southern staple as a passed appetizer at a Good Friday crawfish boil or as a side on your Easter brunch table. The beauty of this recipe is its simplicity. Whip them up 30 minutes ahead of time and have company-worthy hors d’oeuvres ready in time for you to enjoy the party. Peel eggs, and halve lengthwise. Set aside. In a medium bowl, add egg yolks, and mash with a fork. Add yogurt, mustard, celery, green onion, dill, lemon juice, and Cajun seasoning, stirring to combine. Gently fold in crabmeat. Spoon yolk mixture into egg whites. Garnish with dill, if desired. Serve immediately, or cover and refrigerate up to 2 days.